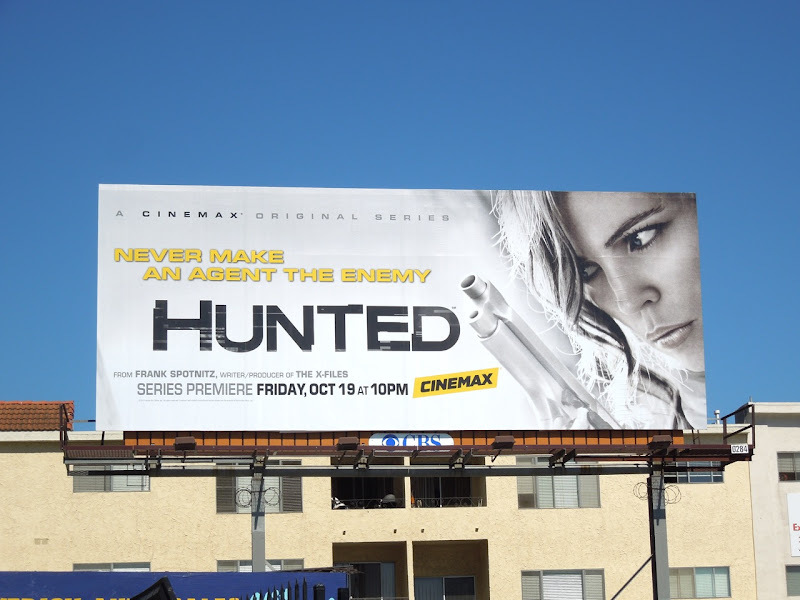 No stranger to the world of international espionage having starred as a spy in Alias back in the day, Melissa George stars as 'Sam Hunter', an elite private intelligence operative with a target on her back. 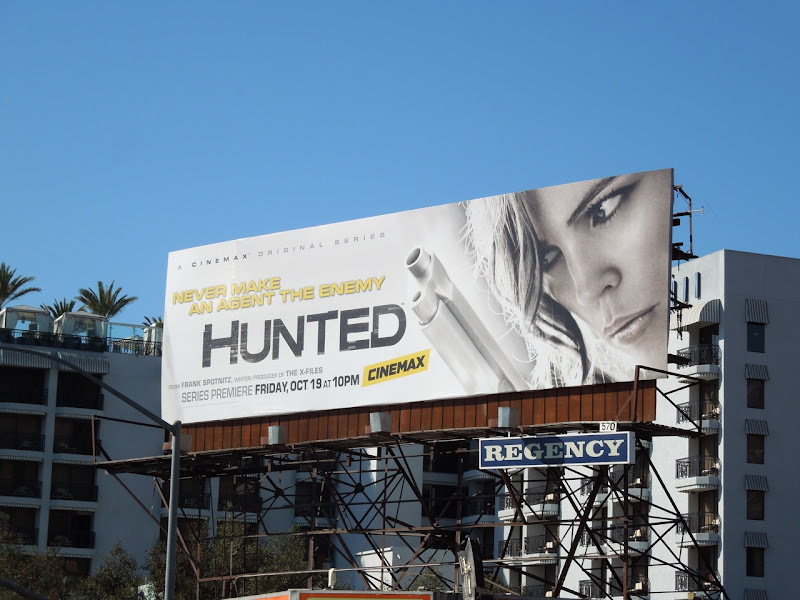 Worst of all, the people trying to kill her may be the very people she works with. 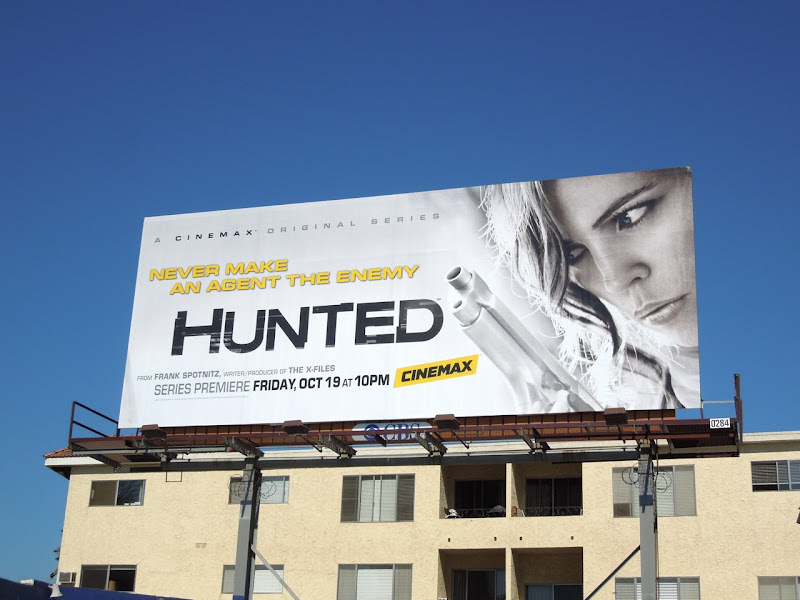 The actress is looking especially 'La Femme Nikita' in this billboard creative for the thrilling new drama from Cinemax. 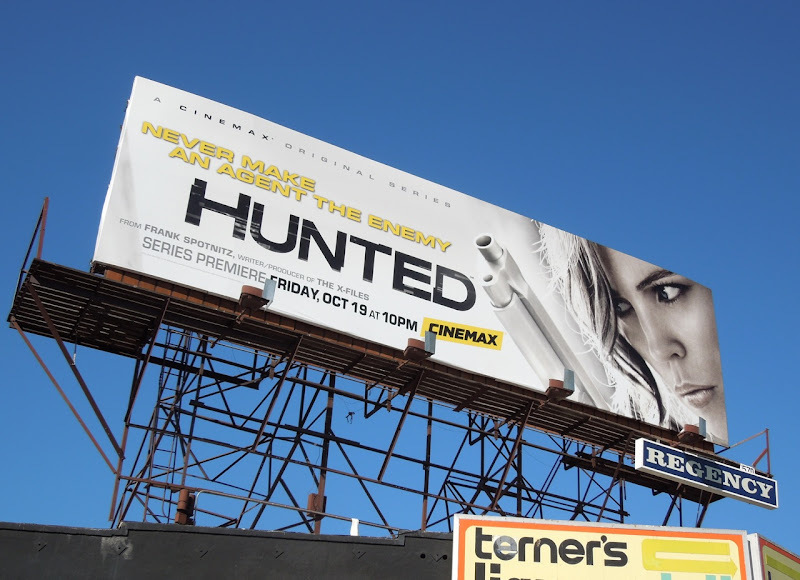 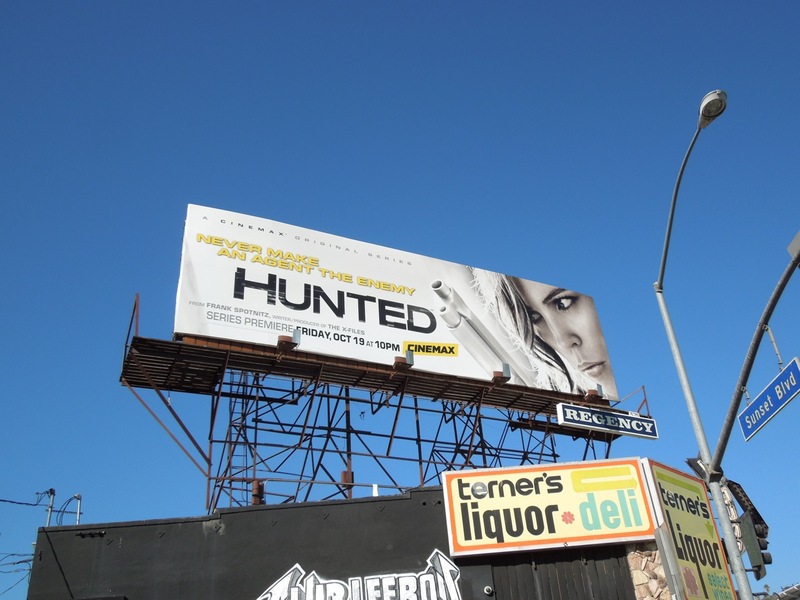 These series premiere billboards for Hunted were snapped along Santa Monica Boulevard on September 24 and along Sunset Boulevard on October 1, 2012.